Originally published 7/5/18. Updated 4/10/19. I love living in the city, I really do. But sometimes, you just have to get away. Going far away from home may not always be an option, especially if you’ve only got a couple of days off from the real world. Luckily, there are tons of beautiful places close to Columbus to pitch a tent and unwind. With this gorgeous weather we’ve been having, it’s a great time to plan your next adventure. Rates: Prices start at $25. Amenities: You’ll feel right at home with heated showers, flush toilets, laundry facilities, a camp store, a swimming pool, playgrounds, volleyball court, and horse shoe pit. 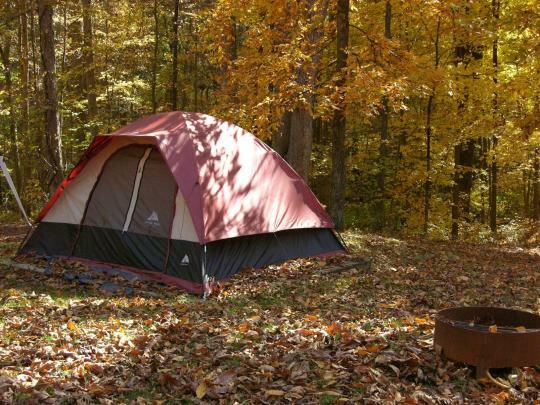 Types of Campsites: Electric, non-electric, and primitive. Rates: Prices start at $26. 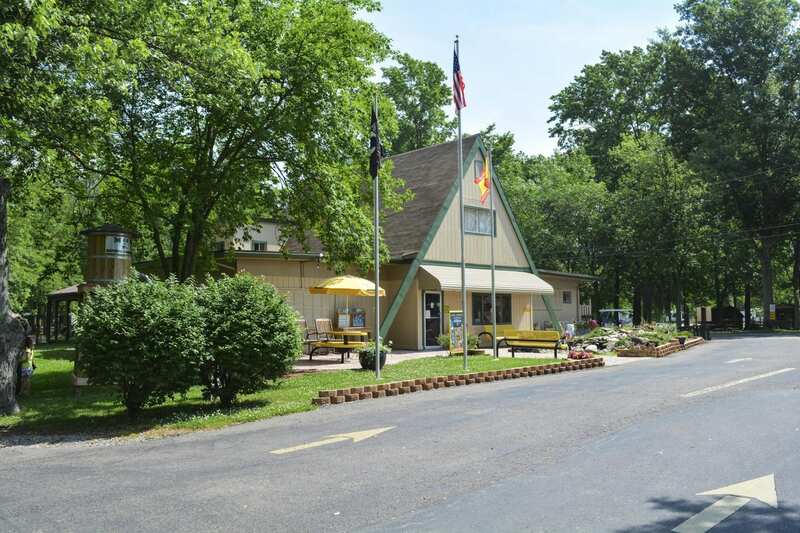 Amenities: While some campsites are rustic, with only a fire pit and picnic table, camping at Hocking Hills Adventures means you’re close to the canoe livery and fun center, which has go karts, a splash pad, mini golf, and more. 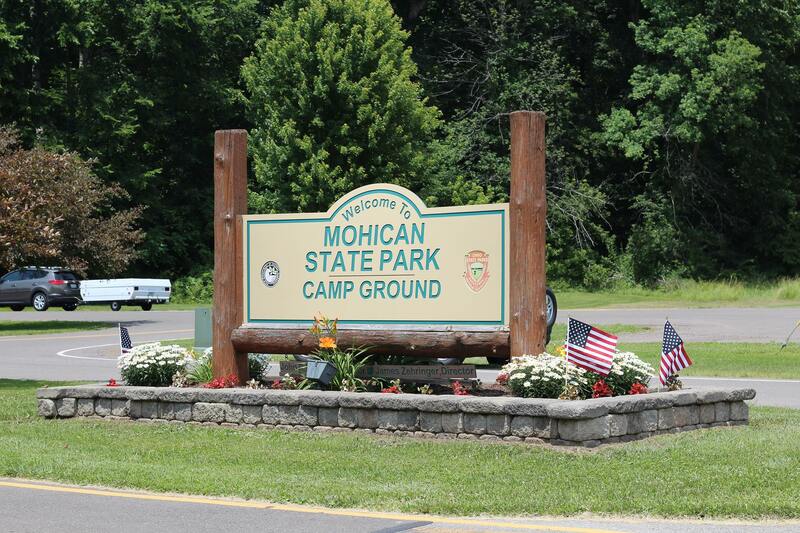 Showers and bathrooms are within a quarter mile of campsites, but Porta Johns are available on site. 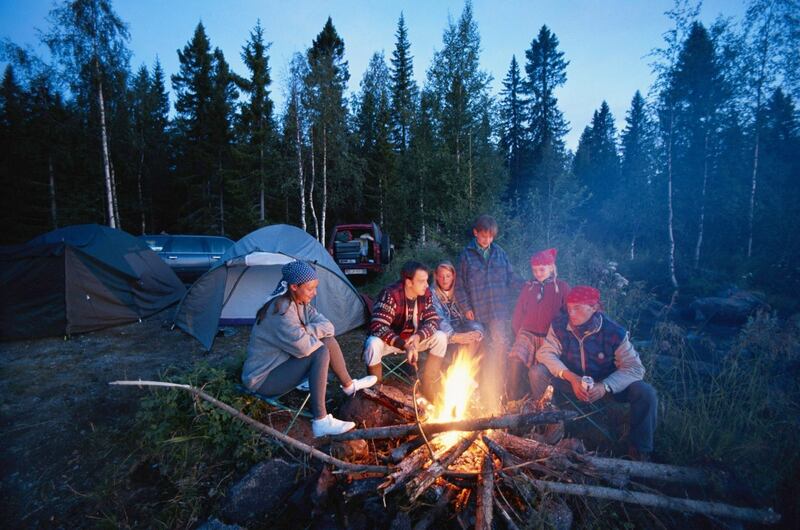 Types of Campsites: Primitive, Electric. Rates: Prices start at $29. Amenities: Amenities include flush toilets, showers, laundry facilities, a dump station, basketball and volleyball courts, 18-hole disc golf, and a playground. Types of Campsites: electic, yurts. Rates: Prices start at $21. Amenities: Amenities include each, drinking water, dump station, fire rings, horseshoes, laundry facility, showers, playground, and more. 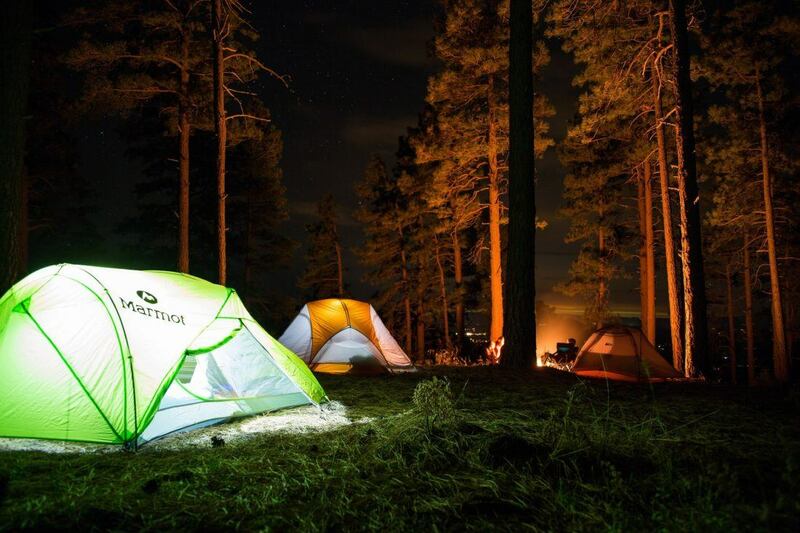 Types of Campsites: electric, non-electric. Amenities: Amenities include showers, laundry, bathrooms, mini golf, playground, basketball court, swimming pool, and more. Types of Campsites: primitive, 20 AMP electic, 30 AMP electric. Amenities: Amenities include restrooms, flush toilets, tetherball, volleyball, basketball, pickleball and gaga ball courts, horseshoe pits, 2 playgrounds, and miniature golf. Distance from Columbus: 31 miles. Rates: Prices start at $37. Amenities: Lazy River at Granville is amazing. 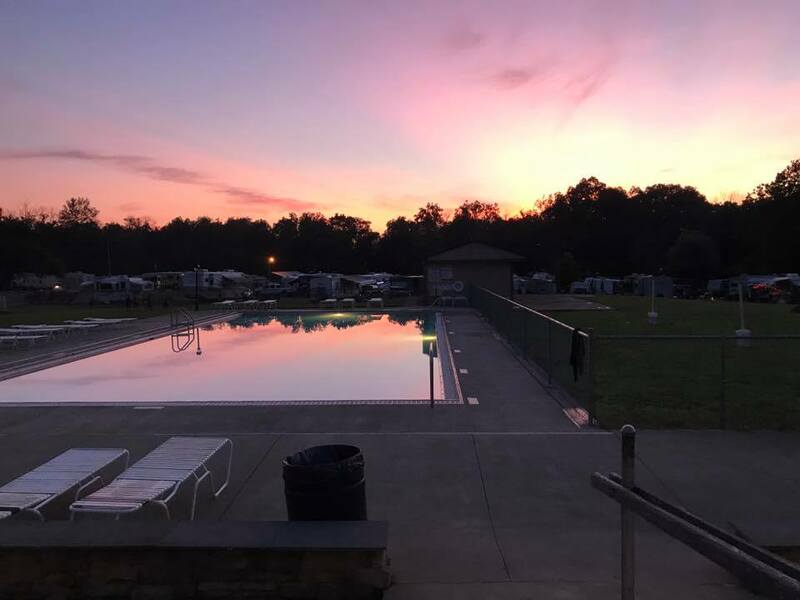 In addition to the Camp Store, you’ll find a 20×40 in-ground swimming pool, spray ground, zipline, basketball court, game room, playground, horseshoes and sand volleyball. 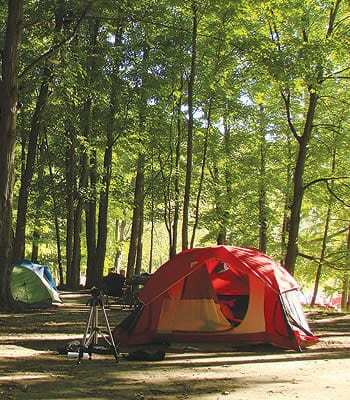 Types of Campsites: Primitive camping, water and electric, and full hookup sites with water, electric and sewer. Rates: Prices start at $36. Amenities: Amenities include restroom/shower facilities, pool, fishing areas, a playground, disc-golf, and more. Types of Campsites: Primitive, Electric/water, and Glamping. Rates: Prices start around $50. 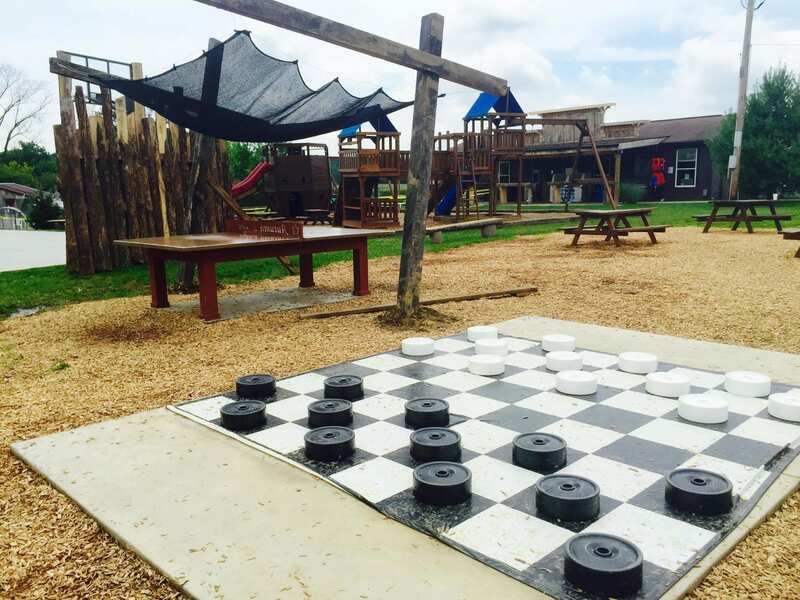 Amenities: KOA sites have everything from shuffle board to sand volley ball. Click here and be blown away by the amount of amenities. Types of Campsites: Primitive, electric, and electric/water. Amenities: The biggest amenity here is the great outdoors. The backpack camping sites are designed for those doing a quick overnight hike of the trail. Firewood and ring are provided at the campsite, but that’s about it. Types of Campsites: Very primitive. Rates: Prices start at $31. Amenities: Access to the beach, disk golf, drinking water, and horseshoes, what more could you need? Just kidding, you’ll need more, and they’ve got quite the long list of amenities for you. Amenities: Amenities include basketball courts, camp store, comfort station, flush toilets, playground, pool, showers, and more. Amenities: All of the boat related amenities your little heart could want are included, plus the usual suspects like bathrooms, showers, playgrounds, and more. Rates: Prices range from $18-$53. Amenities: All of the necessities plus a petting zoo, heated swimming pool, splash pad, workout room, gem mine, and an old-fashioned country store.